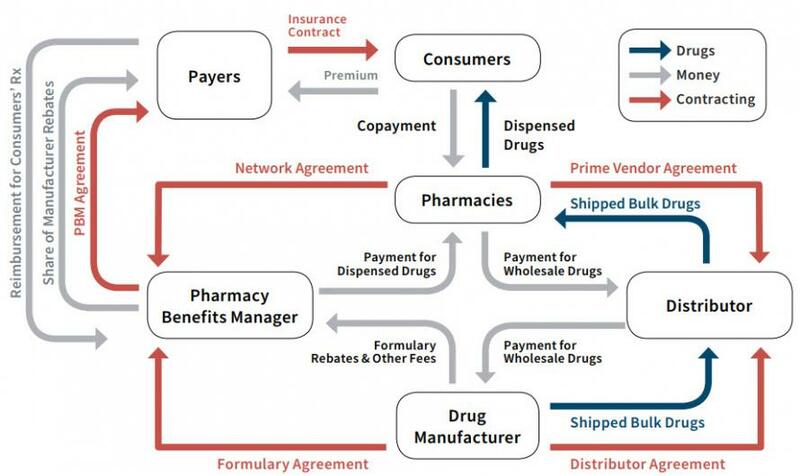 With Trump set to unveil his vision for lowering drug prices as part of his "American Patients First" initiative, moments ago the department of Health and Human Services released a blueprint plan on drug prices. 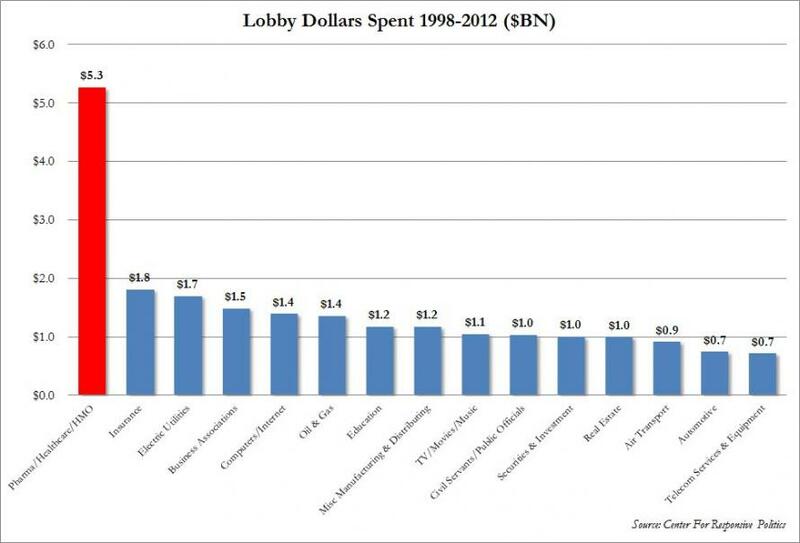 Keep an eye on lobby spend to determine if Trump's plan is just more fluff or has some hope of actually working. Thank you, Mr. President for that powerful call to action, and for your leadership on this issue. You have made it clear how important it is to bring down healthcare costs for the American people and get better deals on drug pricing in particular. That’s why you’ve made history today, by laying out the most comprehensive plan of action for drug affordability of any president. The problem of high prescription drug costs is something that’s been talked about in Washington for a long time. But that’s all it’s been: talk, talk, talk. We are privileged to have a president finally taking action, by laying out a blueprint for solving these problems using private-sector competition and private sector negotiation. We’re not going to propose cheap political gimmicks. The President’s blueprint is a sophisticated approach to reforming and improving our system. Everyone at HHS is rolling up their sleeves to get to work on this. Let me just give a couple examples: Think about all the time everybody spends watching drug company ads, and how much information companies are required to put in them. If we want to have a real market for drugs, why not have them disclose their prices in the ads, too? Consumers would have much more balanced information, and companies would have a very different set of incentives for setting their prices. We’re immediately going to look into having the FDA require this. President Trump has called for tougher negotiation and better deals, so we’re going to deliver on that, too. Our blueprint brings the latest negotiation tools to our government programs and expands private-sector negotiation to parts of Medicare that have never had negotiation. These are just some of the more than 50 actions HHS has planned or under consideration. This is not a one-and-done deal—it is a comprehensive process. We are going to drive real change in this system, while continuing to lead the world in innovation. So thank you again, Mr. President, for your vision and leadership. We’re eager to get to work. With real competition and the right incentives, your blueprint is going to finally put American patients first.